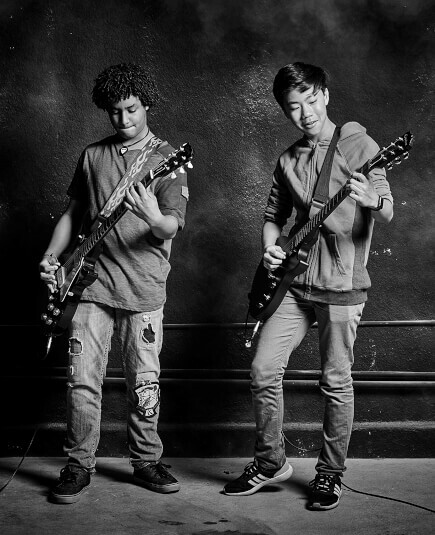 Throughout the year, School of Rock offers music camps and workshops perfect for musicians of all skill levels who play guitar, bass, drums, keyboard, and vocals. There are no UPCOMING MUSIC CAMPS AND WORKSHOPS near . School of Rock's music camps offer an incredible selection of experiences from beginner music camps to intermediate and advanced sessions. Our music camps often include performance boot camps, artist-themed camps, songwriting and recording, and more—there's a camp for every interest and skill level. Most music camps end with an epic live rock show performed by the campers. Check the School of Rock location closest to you for upcoming music camps and clinics that teach students not only how to play music, but also music theory, songwriting, and Rock 'n' Roll appreciation. 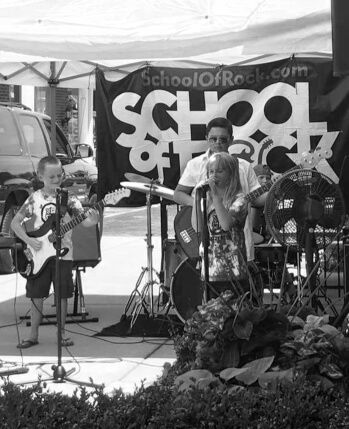 Many School of Rock locations offer music camps for preschoolers that are geared toward creating a fun and constructive experience for kids. Every music camp instills the basics and an appreciation for music that leaves a lasting impression on your preschooler. 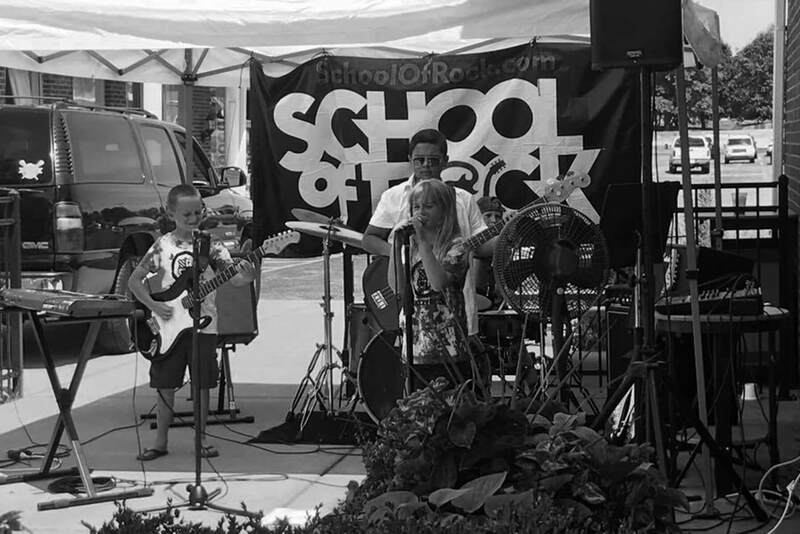 School of Rock music camps are scheduled around local schools' vacations and breaks. Our music camps fill your child's day with learning how to play music, working as a team, and more in an awesome music experience. 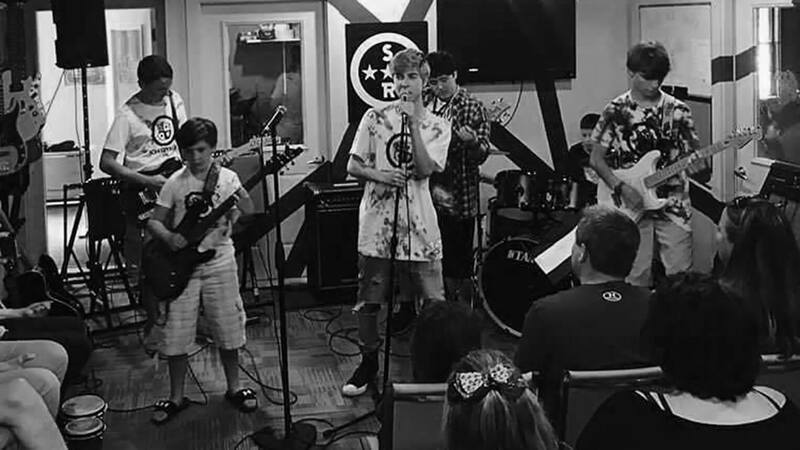 School of Rock gives teens a music camp experience they'll never forget. In our music camps, students pick up instruments and start playing as a band, ultimately ending the music camp by performing a live show for their friends and families. Music camps aren't just for kids. Some School of Rock locations also offer music camps for adults who want a chance to let loose and play music in a band. Adults of every age and skill level are given instruction and rehearsal time, and offered the chance to perform live after every camp session. 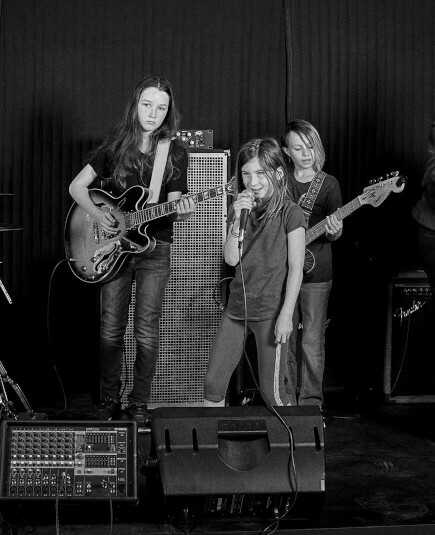 Whatever the season, there's a School of Rock camp for every age and skill level. Our winter music camps and winter workshops offer much more than just learning how to play rock music. 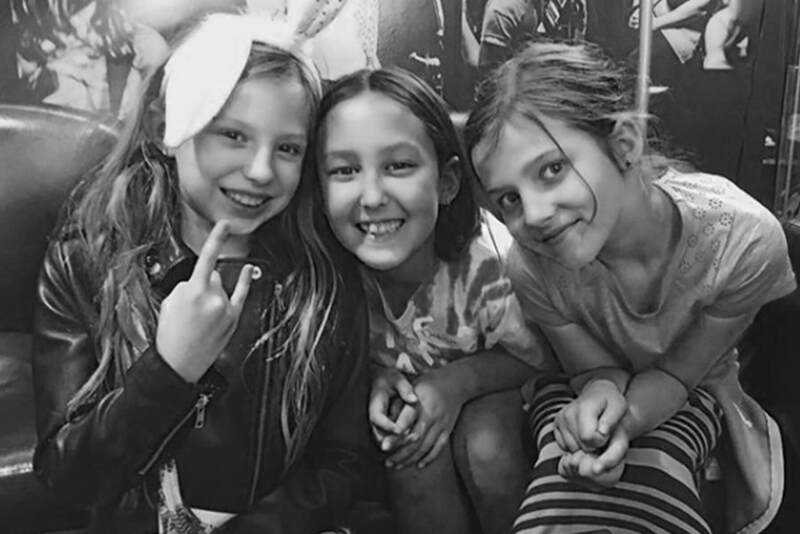 Our camps help students form new friendships, and most importantly, they are fun. At School of Rock's spring music camps, kids will learn not only how to play some of their favorite classic rock songs, but also how to perform them with a band on stage. The act of learning how to play songs and perform them live has been proven to provide the ultimate confidence booster, as well as improve their skills as musicians. School of Rock's summer music camps offer students a way to learn how to play songs and, in most cases, perform them live on stage. Kids are placed in bands, have rehearsals and learn more about being true musicians. Summer music camps are offered throughout the season to accommodate school schedules. 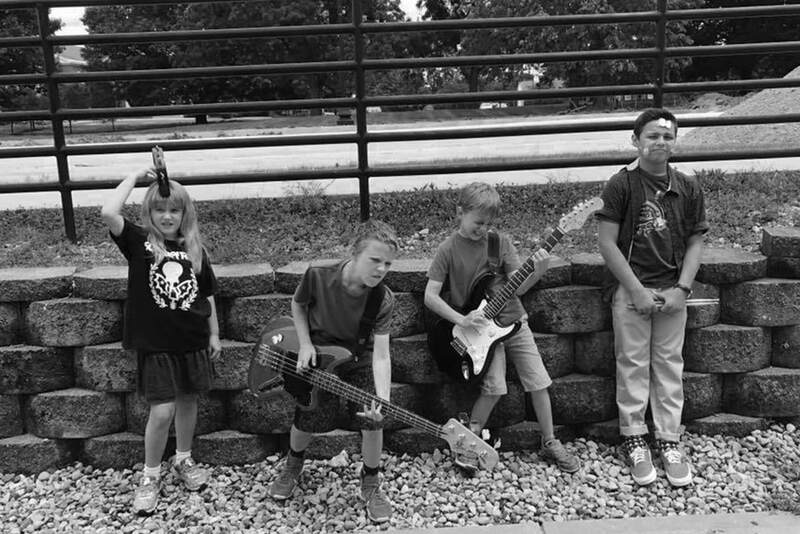 School of Rock offers 1-to-2 day themed fall music camps and workshops. In these sessions, kids make huge strides towards taking the stage. These music camps and workshops range from songwriting to performing your favorite classic rock songs. Are music camps for adults, or are they just for kids and teens? 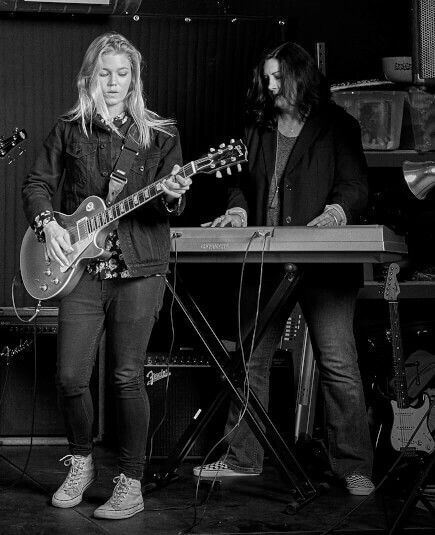 The Adult Program is perfect for adults looking to learn how to play an instrument or perform live on-stage. Camps and programs may vary depending on school location, so check your local school of rock for more details. How many days a week are the winter, spring, fall, & summer rock camps? At School of Rock, most summer music camps are scheduled for an entire week, whereas spring and fall music camps usually run 3- to 4-days incorporating holidays or other days when local schools are not in session. Some schools may have winter music camps, which are normally structured around the holidays as well. Music camps are run by your local school, and themes may vary from location to location. Where will the camp be located? 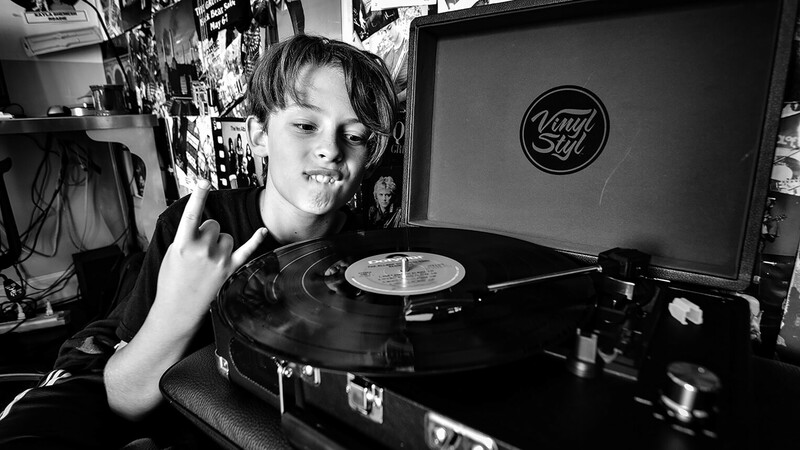 Music camps for kids and teens are held on-site at your local School of Rock. How much do music camps cost? Pricing for our fall, winter, spring, and summer music camps may vary depending on theme and location. Check with your local School of Rock for a list of pricing and music camps that are currently offered. At rock camp, do I already have to know how to play an instrument? 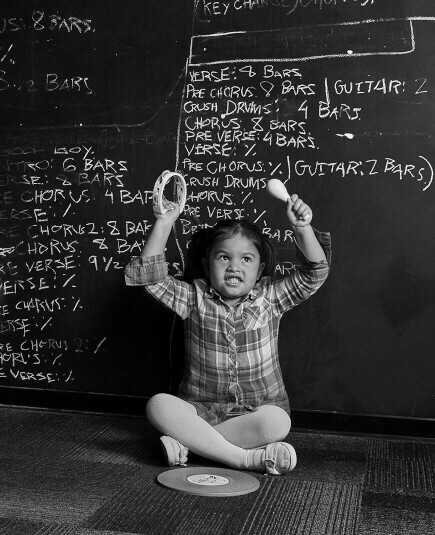 School of Rock has different music camps designed for all skill levels. Our Rookies music camps are designed to teach kids the basics of music and performance, while our Performance music camps are generally best for students with a basic proficiency in their instrument. Some schools offer music camps for beginners with little to no experience. Check your local music camps to see what we currently offer. What times do School of Rock music camps meet? Times for camps may vary depending on your local School of Rock. Many schools run half-day Rookies music camps, divided in morning and afternoon sessions. 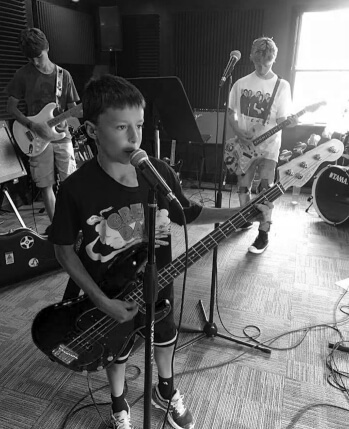 Our Rock 101 and Performance music camps generally meet weeklong, every day from 9 am - 3 pm. For half-day music camps, students may spend the whole day at School of Rock, but are encouraged to bring quiet activities to occupy themselves when done so as to not disturb other students. Will School of Rock provide transportation? School of Rock does not provide transportation for students attending camps. Parents or students are expected to arrange their own transportation that includes drop-off and pickup at the appropriate time. Will School of Rock provide instruments? Will my child have to bring anything? School of Rock has instruments that students can borrow during music camps, but students are more than welcome to bring their own instruments as well. Do School of Rock music camps include the chance to perform live? Yes! Our Performance music camps allow you to work toward performing in a real, live rock show. Depending on location, some schools may also offer Rookies music camps that conclude with a performance as well. Check with you local School of Rock for more information.